Battle is a delightful small town of tile-hung and timber-clad houses. 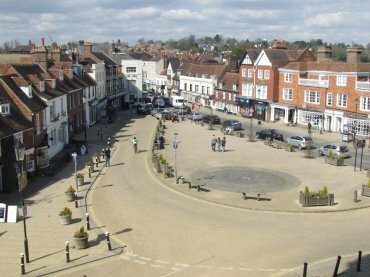 This is High Street, the road with the cars on, and the junction with Park Lane seen from inside the Abbey Gatehouse. 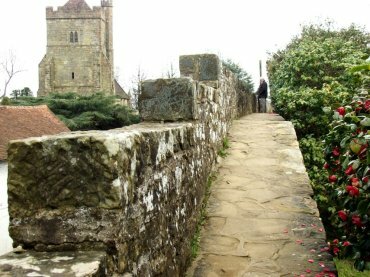 The abbey was built by William the Conqueror immediately after his victory and the town, subsequently, grew up next to the abbey. 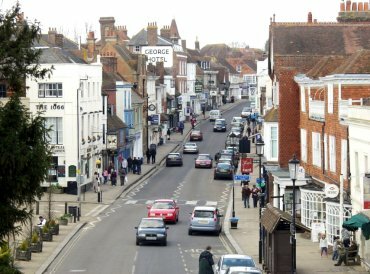 This view, looking north-west, shows the High Street with the road to Hastings behind the camera. 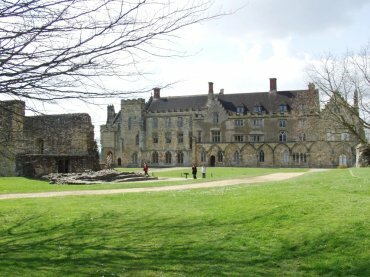 Some of Battle's oldest buildings date back to the 13th and 14th centuries. The George Hotel, seen on the left, is Georgian. 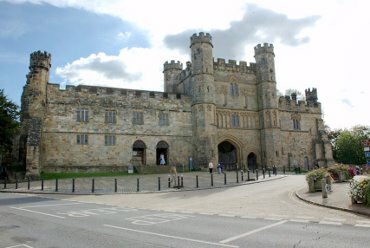 The Abbey Gatehouse, seen here from the front, is more or less as it was when it was rebuilt in 1338. This, and what remains of the rest of the abbey, is open to the public. The remains of the abbey cloisters together with the later country house and the ruins on the left were the monastic dormitories. The Abbey Precincts were originally surrounded by a defensive wall of which this is part of what remains. The church in the background is the parish church of St. Mary originally built in the 11th century.